To all my homesteading, farming and livestock loving friends what do you do in the winter if and when your ladies get a bald spot? We have three girlies who have patches of missing feathers on their backs and bellies. We have heated the coop and enclosed the run to keep them out of the snow, but we are worried that if theynspend too much time outside on a cold wintery day like today they will get frostbite. Do we keep them inside the coop all winter? Do I knit them some coats? Am I just over thinking the whole thing? Any advice is welcome!! 1. You cannot have chickens in the middle of a city. That may not be true. 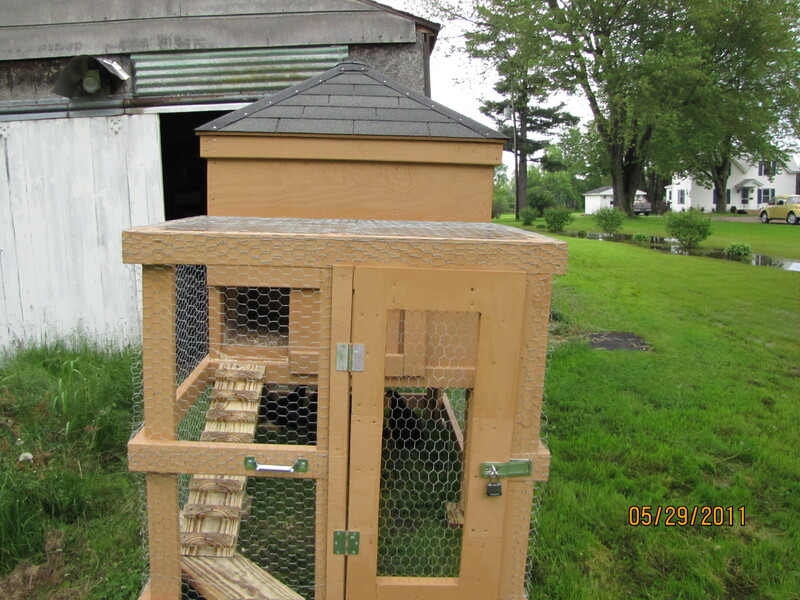 Take a look at the Backyard Chicken Forum and see what the ordinances are in your state/city. And yes, there is a Backyard Chicken Forum. This is the 21st Century, even chickens have an online forum. 2. You need to buy thousands of dollars worth of equipment. Absolutely not true. We spent a total of $450 dollars to build a coop, actually purchase the chickens and get heat lamps and feeders. 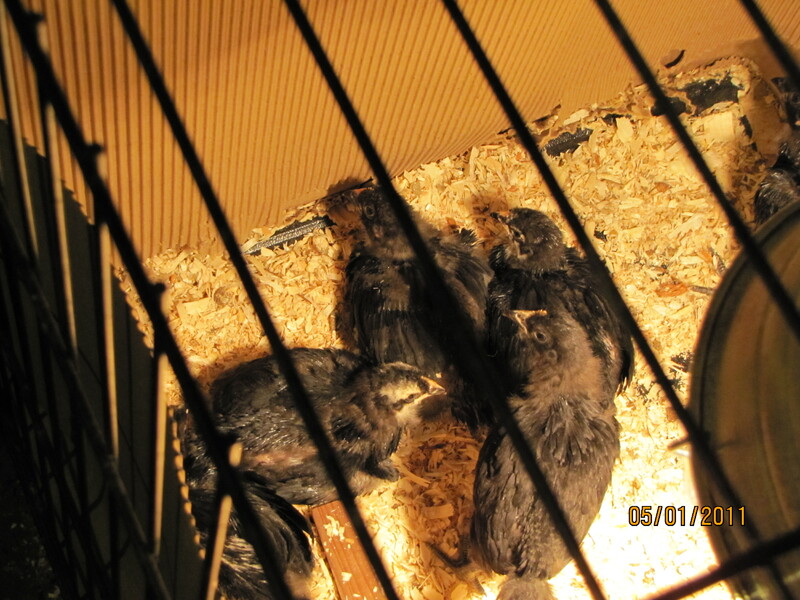 We brooded our chickens in the old dog crate in the basement. My husband built the coop from scratch. In truth, they were pretty easy to raise. 3. Do you really have to clean poop off the chick’s butts? Yes you do. There really is no way to church that up, other than to tell you that gently washing chicks’ butts with your significant other is truly a bonding experience. Please note, you should never pull the poop off. You will definitely take feathers and may even get some intestine. Pouring warm water over the dried on poop and gently massaging it does the trick. If you don’t clean the poop the chicks could get really sick and a sick chick becomes a target of his/her brooder mates. Now that I own chickens I truly understand the meaning of “hen pecked”. Long story short: Clean the poop. 4. How do I know what breed of chicken to get? Well I would love to tell you that we did A LOT of research before we pulled the trigger on owning chickens. I would love to, but I cannot. We woke up on a Saturday morning, drove to our local Tractor Supply and researched our chickens by using the little signs on the outside of their display. The Black Australorp said it was a good layer, good for meat and didn’t mind living in a small space. Free Range chickens might be a bit much for our neighboors. Next thing we knew we had 6 girlies in our basement chirping the day away. The moral of the story: figure out what you want them for, than if you must do some Googleing or visit your local extension, Co-Op or Hardware store. Let experts help you pick the right chicken for your situation. 5. What on earth to chicken’s eat? Again, check out the Web for some great advice. Our girlies eat grass, antibiotic free feed, grit, oyster shell and garden greens and bugs. I think they will start to eat things like oatmeal and other leftovers once the cold weather sets in. Don’t feed them eggs or chicken, it just seems wrong. Definitely visit the Backyard Chicken Forum or pick up a Backyard Chicken Magazine. Both locations have lot’s of amazing tips and tricks. I will post more sites on here as I continue to do my own research on backyard livestocking. 6. What do we do with them in the winter? I don’t know. I will get back to you in a couple of months with what we do. So when all is said in done, if you are interested in having your own fresh eggs, a little feathered entertainment and just a fun overall summer project but live in a less than rural setting, don’t give up hope. The legend of the Urban Chicken can become a reality in your backyard just like it has in ours.